The Emmy Table is a sophisticated and timeless centerpiece dining room table. 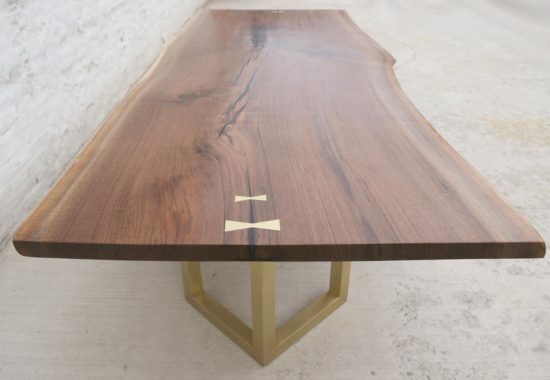 It features a solid live edge slab top with sturdy geometric brass legs. Each table we create is a direct collaboration with our clients. 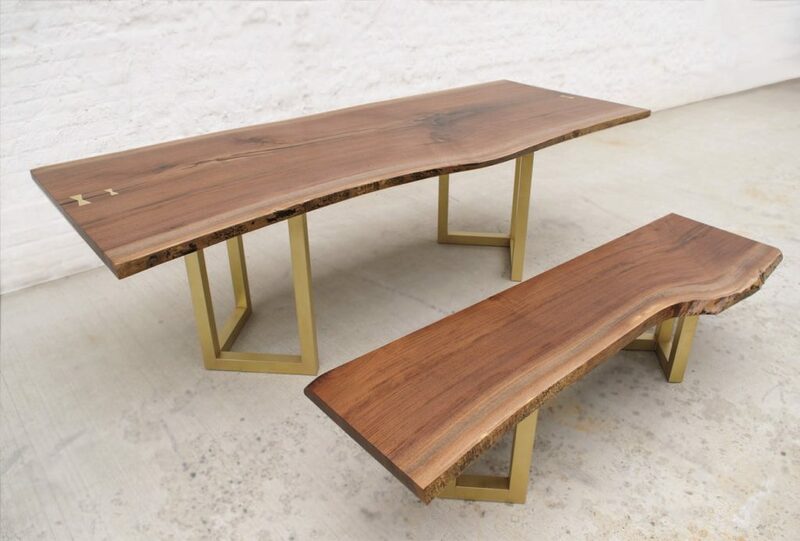 We carefully work together to find the perfect slab to harmoniously fit into your space and then craft the table legs with custom dimensions and offer several different finish options for the legs from shiny brass to blackened steel. We are proud to offer a wide variety of options for customization. Please email us to get started with your next project.